Worcester, MA. Canon 5D2, EF 70-200/2.8, Extender 2X II (400 mm). 1/2500s, f/5.6, ISO 400. Adobe Lightroom adjustments. 209 Shrewsbury Street, Worcester, MA. Canon 5D2, EF 28mm. 1/1250s, f/2.8, ISO 100. Adobe Lightroom Adjustments. 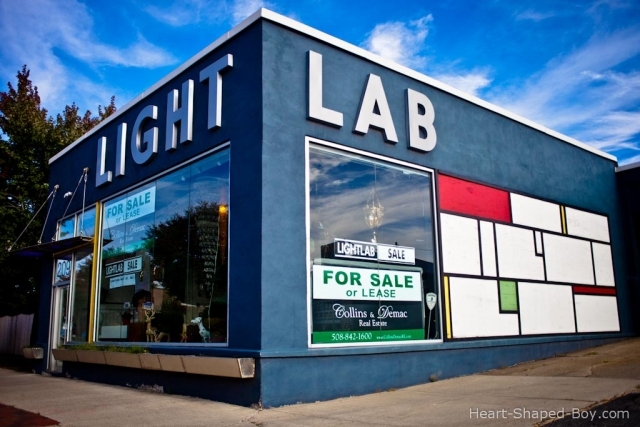 Sadly, Light Lab Design has gone out of business. I need to get over there and take some more photos before they take the signs down.